We all know that the coal-fired pizzas at Grimaldi’s are tippy tops. But have you tried the popular pizzeria’s desserts? Well, now is the perfect time as Grimaldi’s Pizzeria unveiled a brand new selection of cheesecakes in May. 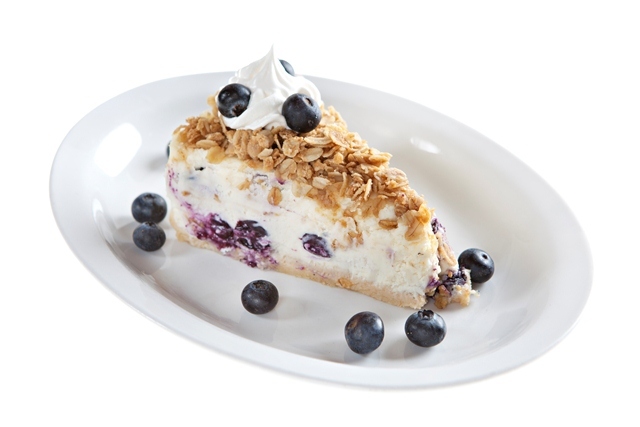 Diners are invited to choose from strawberry cheesecake and blueberry cheesecake. Only the freshest, most luscious berries mingle with creamy deliciousness. The strawberry and blueberry cheesecakes join Grimaldi’s famous cannoli, tiramisu and long list of everyday and seasonal cheescakes, which include Oreo and the traditional New York-style. www.grimaldispizzeria.com.